Vox executive Andrew Golis is WNYC’s new chief content officer, the station announced Wednesday. 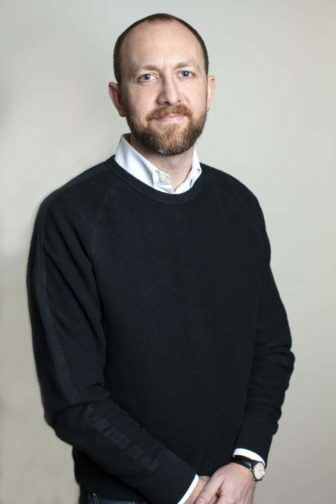 Golis will lead editorial strategy, program development and the integration of radio and digital for WNYC News, WNYC Radio and WNYC Studios. He will be tasked with “positioning WNYC News as a model of how public radio newsrooms can help reinvigorate struggling local news ecosystems across the country,” according to a press release. He begins his tenure at WNYC Feb. 25. Golis joins WNYC from Vox Media, where he is general manager and VP of network development. He worked previously for public TV’s Frontline, where he was director of digital media and a senior editor. “He has worked at the forefront of digital media with deep experience working across content platforms, but also brings fluency with traditional media and podcasting. As we grow our digital portfolio and aspire to serve more audiences, I am thrilled to welcome Andrew to WNYC,” said Laura Walker, CEO of WNYC parent company New York Public Radio, in the release. Dean Cappello, formerly WNYC’s longtime CCO, was moved out of the role in January 2018 as part of a restructuring of the station’s leadership. Cappello left the station in June. WNYC did not provide a reason for his departure.